You can’t deny that in this world of fast paced information and always on the go, that your cell phone is one of the most valuable pieces of technology that you own. For an online business person, having a Smartphone such as an iPhone, Blackberry, Android (and the list goes on and on), is an even more valuable Tool in your arsenal. First, phones like these already come equipped with many tools that you can utilize for your online business. Such as the calendar, email, internet & usually a notes section. On top of the already installed tools you can use, there are thousands upon thousands of apps to choose from to personalize your phone to suit your business needs. eBay Mobile – This app allows me to shop, view my online auctions, check sales and even create and post listings to sell things! Never miss a question from a prospective buyer & monitor your eBay sales from anywhere. FedEx Mobile – I can easily manage my shipments on the go with this app. I can track shipments, create shipping labels, find FedEx locations and estimate shipping costs and delivery times. Documents Free (Mobile Office Suite) – This great free app allows me to edit and manage spreadsheets and text files. I can also sychronize this with my online Google Documents account to retrieve files on my computer. CardMunch – Business Card Reader by LinkedIn – Meet a lot of business people or go to a lot of trade shows and get a lot of business cards? Instead of carrying all of those business cards around or entering all of the contacts in one by one, use this app! You “scan” the business card into the app and it then converts it so it will go into your phone contact list. If you don’t want all of those people in your phone contact list, you can save them in the app instead for sorting. Chase Mobile Banking – I know that not everyone has a Chase bank account, but, this app has to be one of my favorites. This app allows me to view my balances and recent transactions. But my favorite feature is the deposits section. With this app, I can “scan” checks to deposit directly into my bank account. I never have to leave home to deposit checks! Maybe your bank offers an app such as this one! There are a lot of other great free apps that you can download to your phone to help you with your online business and there are some great paid apps as well. When looking at apps to buy, always check to see if they have a Free “Lite” version first so you can be sure it’s something that you want. If they don’t have a Free version, I usually check out their website or check out what other people have to say before buying and downloading it. 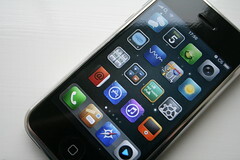 Worldwide Brands has created a Product Sourcing Tool app for iPhone/iPad/iTouch and the Android! This app will connect with your membership at Worldwide Brands so you can search for wholesale suppliers while out shopping! Or if you are at a trade show, you can check the Market Research on the products before committing to buy. This is a must have for any online retailer that continues to source products for their business. Go HERE to get the app! This entry was posted on Monday, September 12th, 2011 at 2:41 pm	and is filed under Online Business, What's New. You can follow any responses to this entry through the RSS 2.0 feed. You can leave a response, or trackback from your own site. I just like the helpful info you provide on your articles. I?ll bookmark your blog and take a look at once more here regularly. I am fairly certain I will be informed many new stuff right right here! Best of luck for the following! I needed to compose you one bit of observation to say thanks once again for your superb information you’ve featured here. It is simply seriously generous of people like you giving without restraint exactly what numerous people would have offered for an e book in making some profit for their own end, most importantly seeing that you might have done it in case you wanted. The concepts in addition served to be the fantastic way to realize that other people online have similar eagerness the same as my very own to know great deal more concerning this problem. I am certain there are many more pleasurable opportunities in the future for individuals that look into your blog.